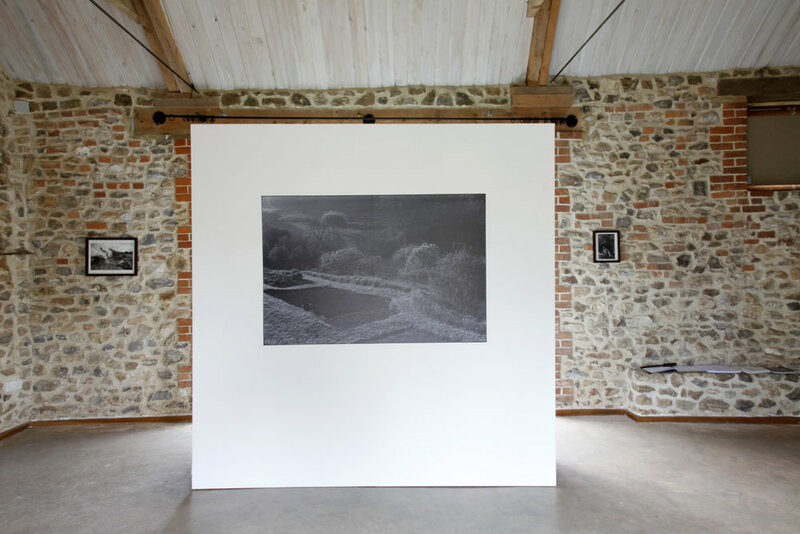 On Landscape #3, featured renowned artist James Ravilious’ (1939 - 1999) photographs alongside Kantonen, Talmor and Wieslander’s work, as well as site-specific installations, slide projections, video and a selection of artist books. The On Landscape Project library was displayed alongside a selection of Little Toller publications and Lower Hewood Farm’s Survival Library by Standart Thinking. On Landscape Project was in residence throughout the exhibition in order to engage with visitors, conduct research, develop ideas for new work and lead free weekly events in collaboration with Lower Hewood Farm. 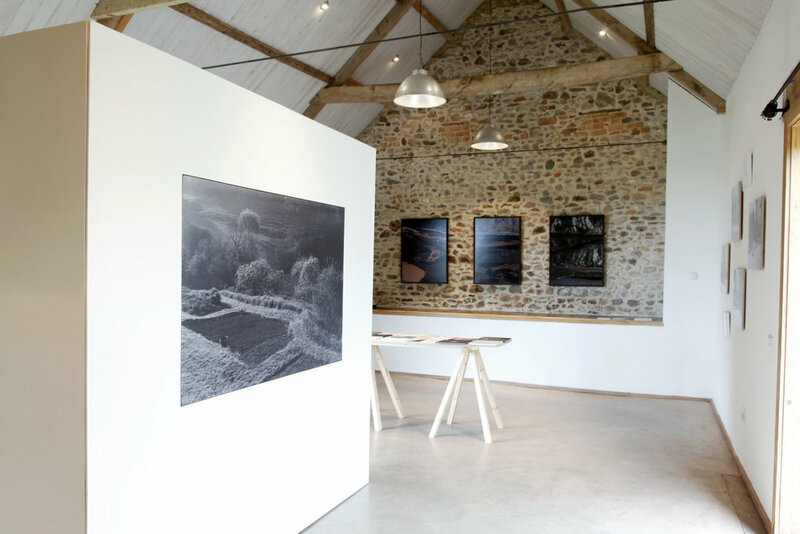 The exhibition, organised in collaboration with host venue Lower Hewood Farm’s director Alexa de Ferranti was programmed to coincide with Dorset Art Weeks. 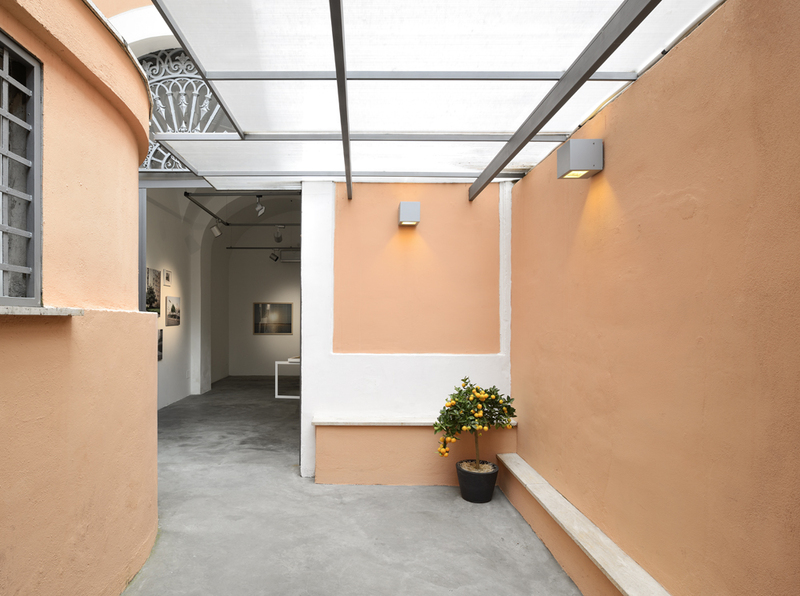 On Landscape #2, Matèria’s inaugural exhibition, featured photographic work by Dafna Talmor, Emma Wieslander and Minna Kantonen, founders of On Landscape Project. The three artists were joined by guest artist Marco Strappato, whose work provided a thematically adjacent addition, expanding Talmor, Wieslander and Kantonen’s shared dialogue. The exhibition also included a display of books sourced from an open call. On Landscape #2 aimed to expand on research initiated by its first exhibition, engaging in further reflection on representations of landscape in relation to a set of preconceived ideas, traditions and pictorial conventions. An essay by Francesca Orsi accompanied the exhibition. 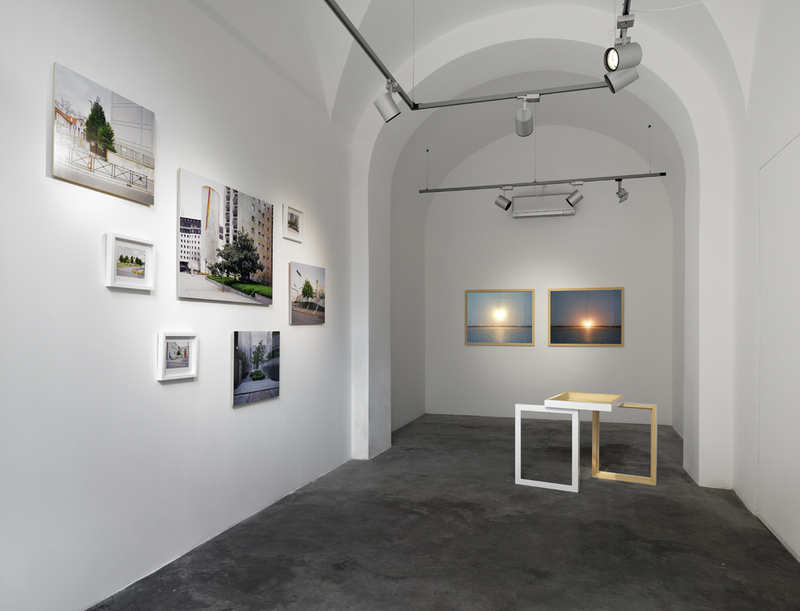 On Landscape Project was invited to take part in Castelnuovo Fotografia and participated with an edited version of On Landscape #2, shown originally at Matèria Gallery (Rome). 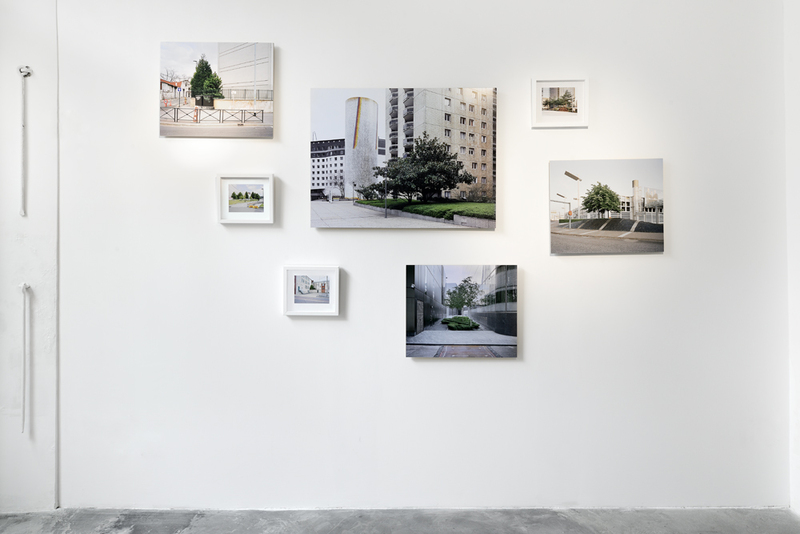 On Landscape # 1, the first of a series of exhibitions based on conversations between artists Minna Kantonen, Dafna Talmor and Emma Wieslander, aimed to challenge traditional representations of landscape. 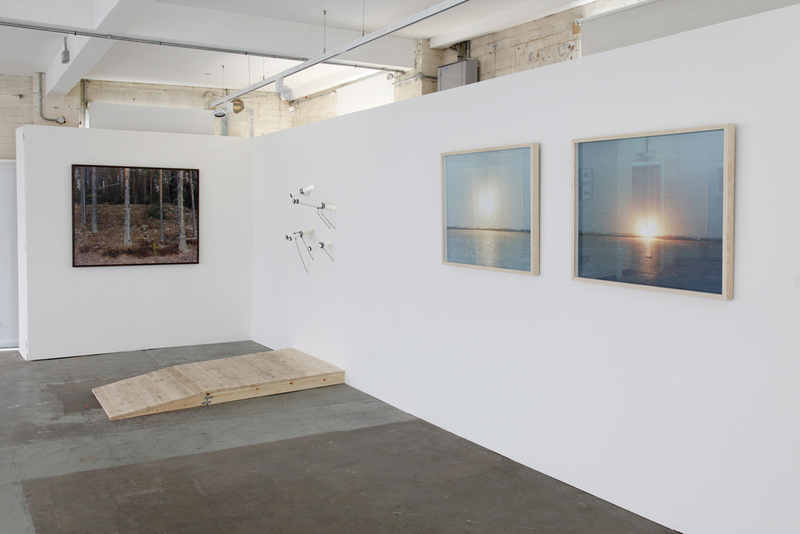 The exhibition was part of a one-month residency at Guest Projects and featured photographic work by the three artists, a display of selected books and a site-specific installation by invited artist Minna Pöllänen. Minna Kantonen is a Finnish artist based in London. 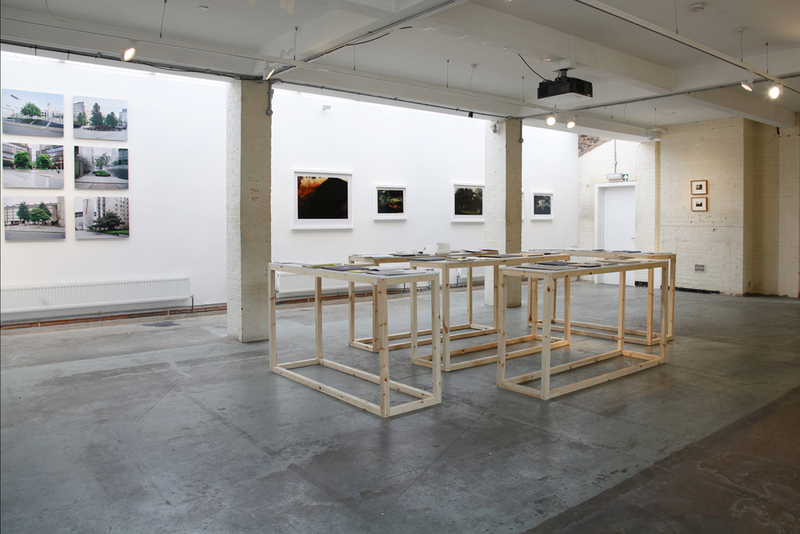 Exhibitions include Urban Vistas: Illusions of Nature at the Foundry Gallery, Chelsea, London (2014), On Landscape # 1 at Guest Projects, London (2014), Photobook Show at Brighton Photo Biennial (2012) and The Jolly (Good) Show, Collyer Bristow Gallery, London (2010). Her work was selected by the Government Art Collection and exhibited at the offices of the Department of Culture, Media and Sport (2003) and has been featured in publications including Source, Photomonitor, Architects Journal and Photographie (DE). Kantonen is the recipient of Arts Council England Grants for the Arts Award (2014), Arts Council of South West Finland Grant (2005) for production and publication of A Small Book of Trees (2007) and the Research Residency Award, Art Gene, Barrow-in-Furness (2005). Kantonen is a Principal Lecturer in Photography at the University of East London. Minna Pöllänen is a Finnish artist living and working in London and Helsinki. Her photographs and site-specific work have recently been shown in Brooklyn Bridge Park and in A.I.R Gallery in New York (2013), Place Des Arts and Galerie Les Territoires in Montreal (2012), The Photographers’ Gallery in London (2012), Format Festival in Derby (2013), Mänttä Art Festival in Mänttä (2013), Helsinki Kunsthalle (2011), The Finnish Museum of Photography (2013) and Gallery Hippolyte in Helsinki (2012). Dafna Talmor is an artist based in London. Her work is included in private and public collections such as Deutsche Bank and Hiscox and featured in publications that include ArtReview, Camera Austria, Hotshoe, Elephant, IMA and Laurence King Publishing’s recently released Post-Photography: The Artist with a Camera by Robert Shore. Talmor is the recipient of the Arts Council England Grants for the Arts Award (2013 & 2014), Photofusion Select Bursary Award (2013), selected as a series finalist for the Renaissance Photography Prize in 2013, IV Daniela Chappard Biennale Photography Award (2007) and was nominated for the Paul Hamlyn Artist Award (2005). Talmor is an Associate Lecturer on the BA Fine Art at Southampton Solent University and the Fine Art Extension course at Goldsmiths, University of London. Marco Strappato (Porto San Giorgio, 1982) is an Italian-born, London-based artist. His work is included in several private and public collections and has been exhibited widely, including solo exhibitions at The Gallery Apart, Rome (2013), Crédit Agricol (project by Careof-DOCVA), Milan (2013), Placentia Arte, Piacenza (2010). Strappato’s group shows include those held at Camden Arts Centre, London (2015); Brazilian Embassy, Rome, Royal College of Art, London, American Academy in Rome (2014); VIR Viafarini in Residence, Milan, Victoria Art Center, Bucharest (2013); NURTUREart, Brooklyn, New York, Drome Project Space, Brussels, Bevilacqua La Masa foundation, Venice (2012); Spinola Banna foundation, Poirino, WRO Art Center, Wroclaw, Prague Biennale 5, Prague (2011), Careof-DOCVA, Milan, Merz foundation, Turin (2010). Emma Wieslander is a Swedish artist based in the UK and Sweden. Exhibitions include Mijn Vlakke Land, FoMu Antwerp (2015), On Landscape # 1, Guest Projects, London (2014), Distracted and Bewildered, Galleri Pictura, Sweden (2013), Kaunas Photo Festival, Lithuania (2012), GSK Contemporary; Art of a Changing World at the Royal Academy of Art, London (2010), Women in Art Photography, Taschen Gallery, London (2010), and deep-north – transmediale 09, Berlin (2009). Her work is included in the collection of Yinka Shonibare and has been published in BON Magazine, Photomonitor, deep north-transmediale 09 and The Collectors Guide to Emerging Art Photography. Recent awards include the Arts Council England Grants for the Arts Award, SWEA London Culture Grant (2014) and Culturefund for Sweden and Finland (2015/13).